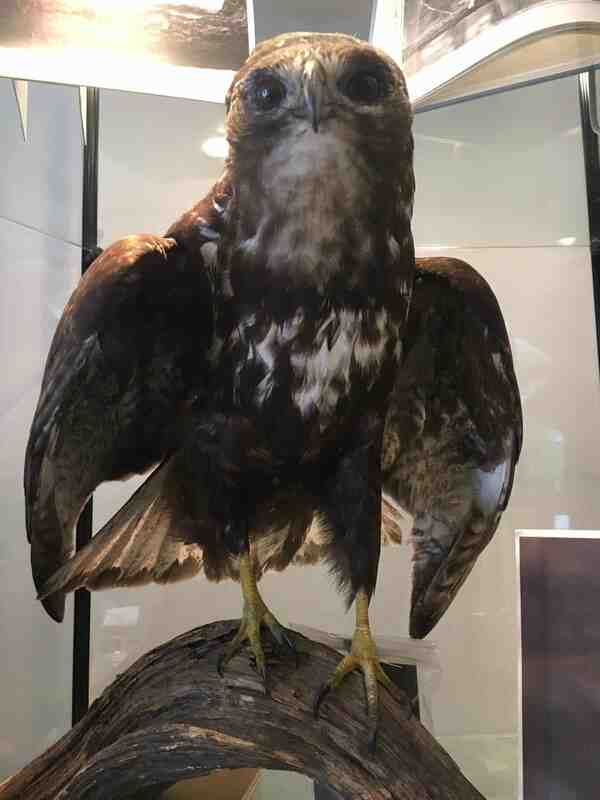 Introducing our new exhibit: Go Hawks! In Iowa City, Herky is famous, but you may be less familiar other members of his family. 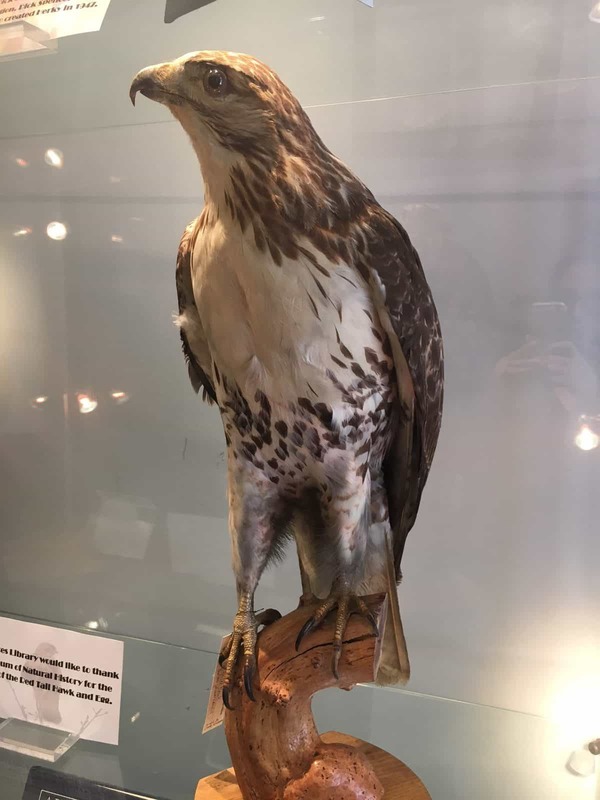 Red-tailed hawks, Cooper’s hawks, and others are often spotted in Johnson County. 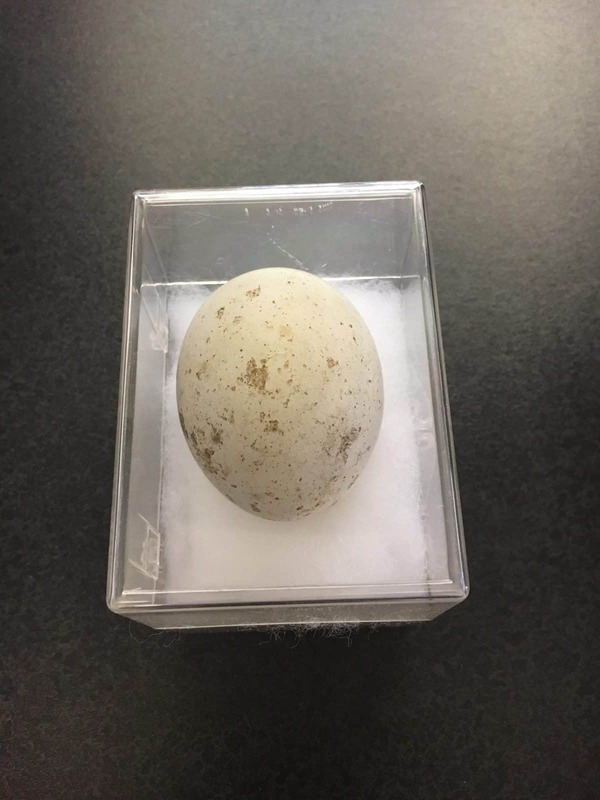 These beautiful birds are accomplished predators, feeding on smaller birds and small mammals. 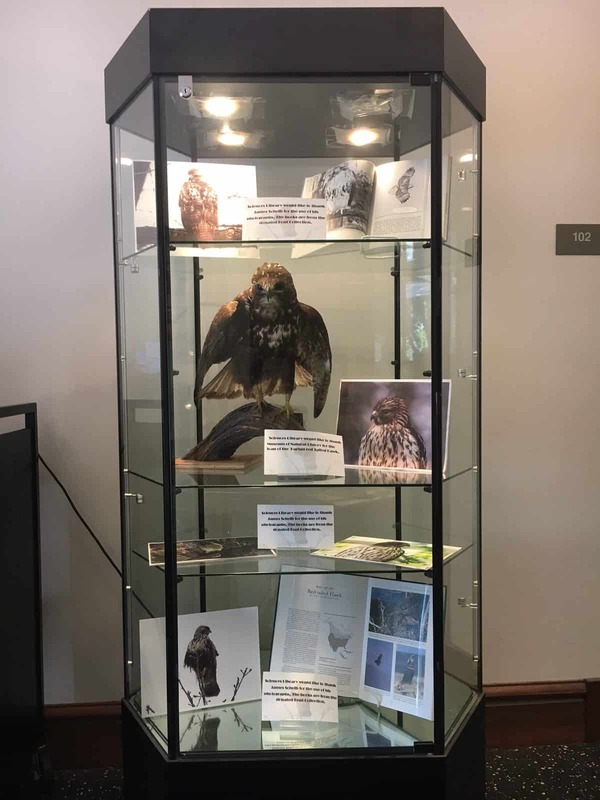 Come see two impressive specimens up close at the Sciences Library. 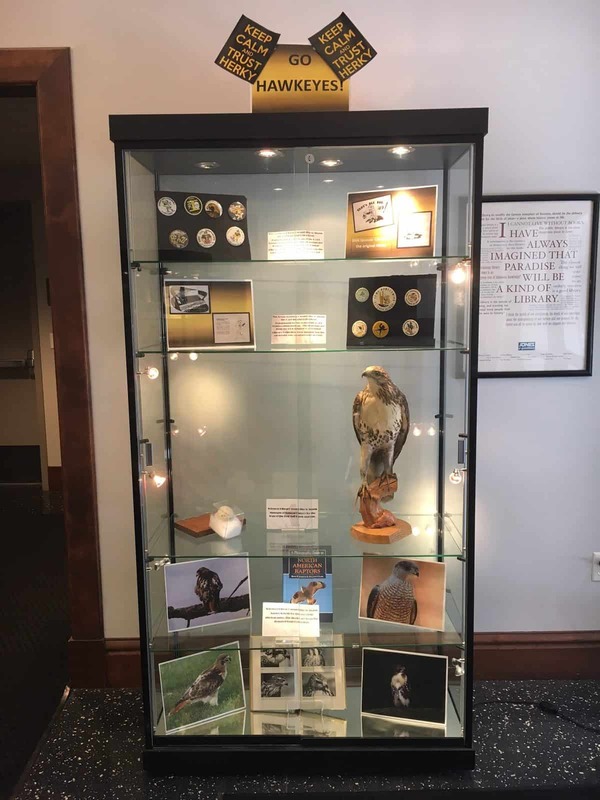 Many thanks to the Museum of Natural History for the loan of the hawks and hawk egg, to the University Archives for the homecoming buttons, and to wildlife photographer James Scheib for the beautiful photos.